What does this Family Quote teaches us? This Family Quote contains the words of wisdom that reaches us to deliver the most crucial message in our life. It emphasizes that we should learn and inculcate on our hearts for all our life, and that is to lend a heeding ear to our parents. Without a shadow of doubt it can be said that, the blood that runs through your veins is that of your parents but the mind belongs to you and so do the ideas and thoughts that get formed by it. If parents are the seed of the plant of your life, it is the warm sunshine and earthly fertility of the wise books that satiate and provide nourishment to your mind, needed to grow in the garden of this world. The famous writer and essayist Bacon, also gives the much deserved importance to books in a renowned collection of his essays and says that some books are to be chewed and others are to be swallowed. The vast gamut of things, topics, mysteries await eagerly to be read about, and unravelled in the limitless galaxy of Books. Inculcation of important feelings and virtues is done by the humble teaching of parents. As a part of your upbringing you are taught to love all around you, respect elders and be an exemplary for the young ones around you, but instilling that feeling, validating the doubts, busting of myths is done by the most impactful medium called books. 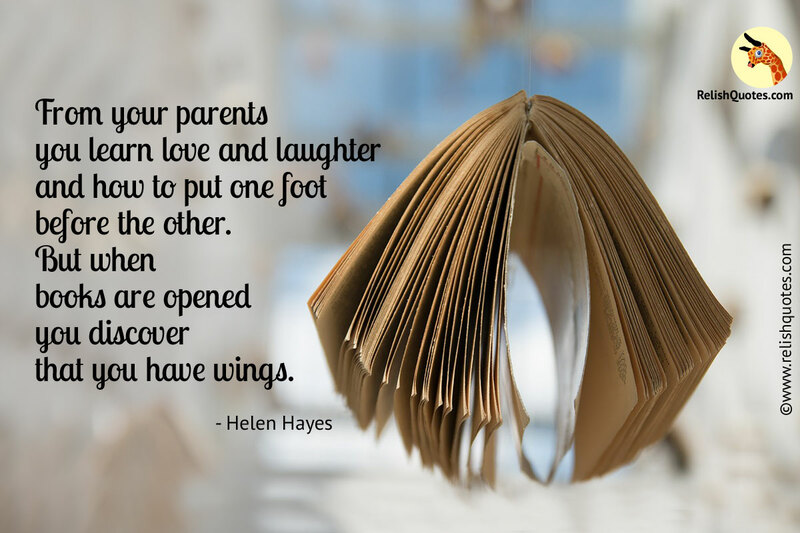 Books complete the balance of teachings by your parents. It is just that once you read something from a book, those things get stamped in you and consciously or sub-consciously somewhere in a minute form, they begin affecting you in the way you think. These thoughts get moulded with maturity and experiences in your life thereby making you the kind of person you eventually become. So do not waste any opportunity of reading, as it is just what your parents say, but in print and in a fancy way.